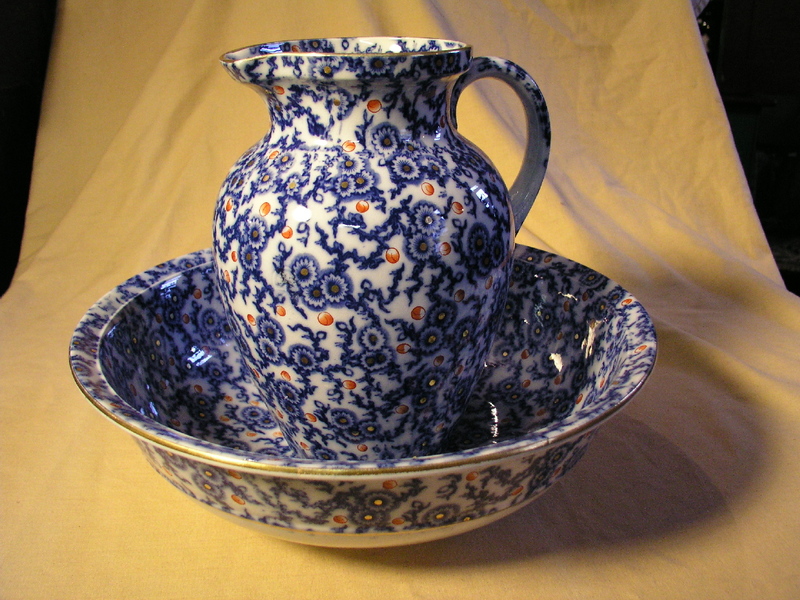 Beautifully decorated wash pitcher and bowl set made by Furnival Pottery in England, circa 1880. Excellent condition. Marked Furnival and stamped on the bottom. Price is for the set.